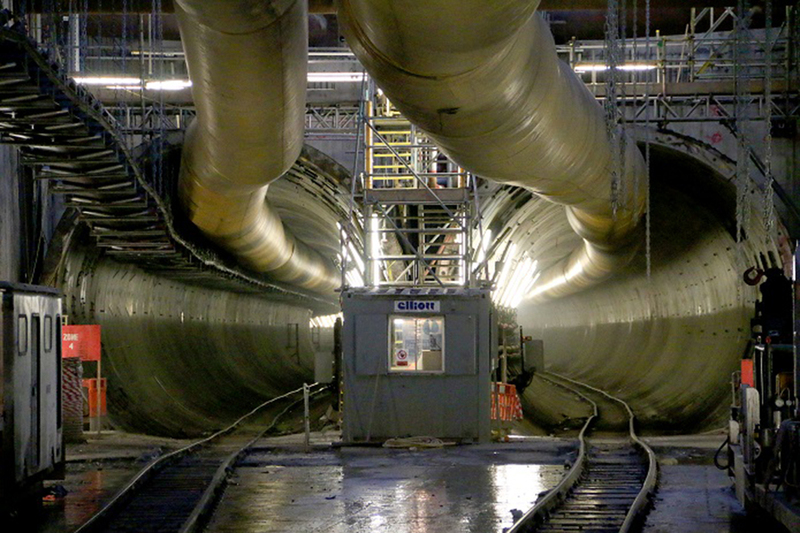 Crossrail's tunnelling progress - before and after image gallery - Crossrail . For information about the Elizabeth line please visit the Transport for London website. Our tunnelling marathon under London is now complete. Check out our before and after images below to see the progress we have made constructing the new rail tunnels. Drag the divider in each image left or right to see the before and after view. 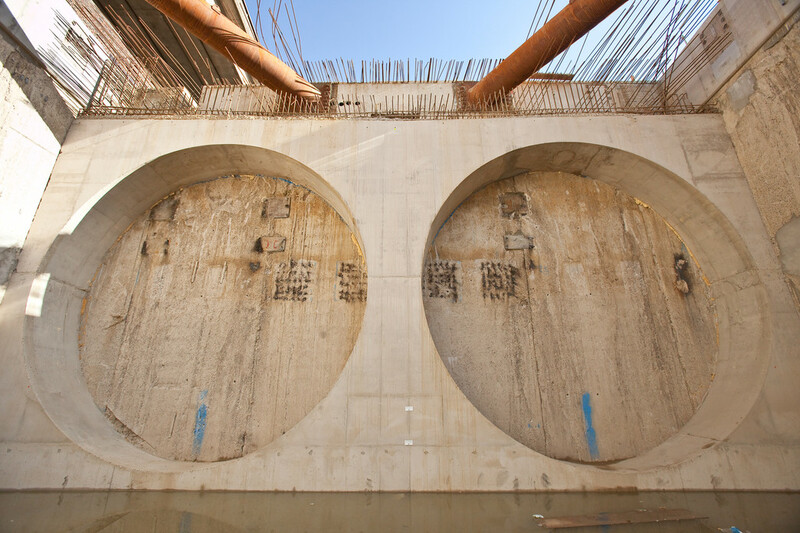 Crossrail began tunneling in 2012 when the first pair of tunnelling machines, Phyllis and sister TBM Ada, started tunnelling at Royal Oak in west London. 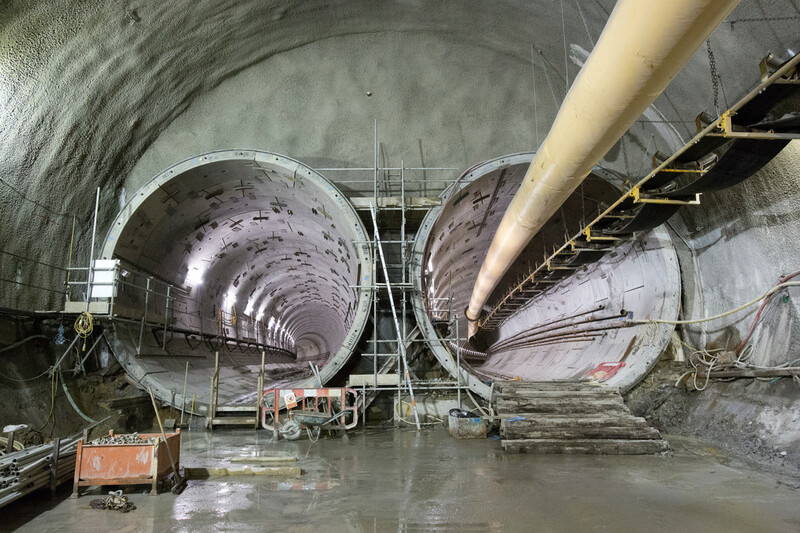 Phyllis and Ada completed their tunnel drives in October 2013 and January 2014 resepctively, constructing 6.8km of tunnels each between Royal Oak and Farringdon. 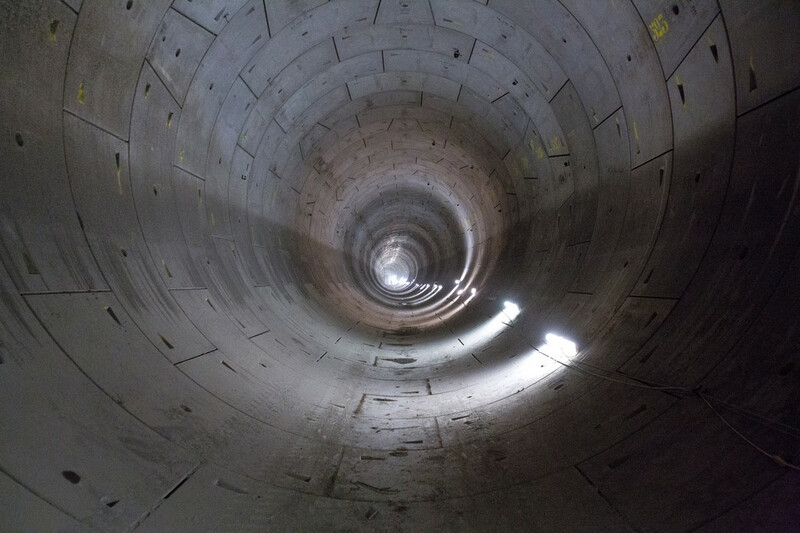 This short video sees Crossrail's first tunnelling machine, Phyllis, complete her journey. Eight tunnel boring machines have been working 24/7 over the past two and a half years below the streets of London to construct 42km of new rail tunnels. Find out how a tunnelling machine works in this short video. The 550m long tunnel runs below the Royal Docks next to ExCeL London, close to London City Airport. 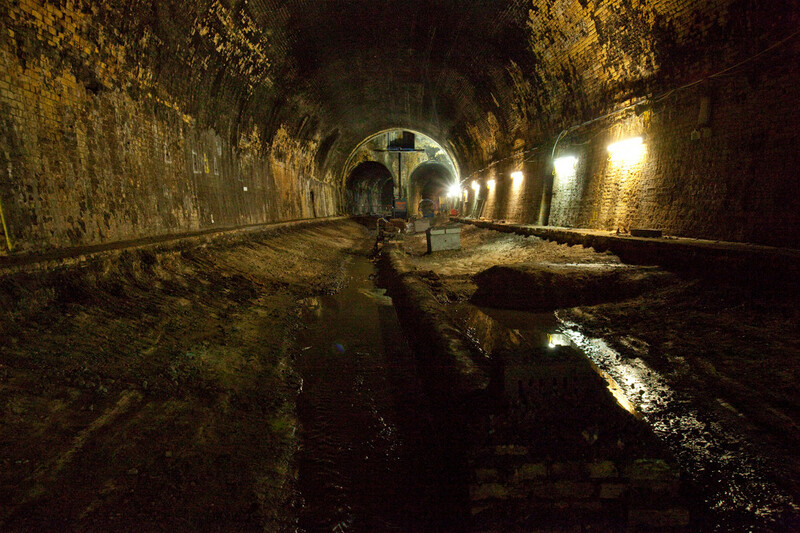 The tunnel was built in 1878 and has not been in passenger use since December 2006. Work was required to deepen, strengthen and widen the structure and to remove 135 years of coal and soot from the steam trains that originally used the tracks. 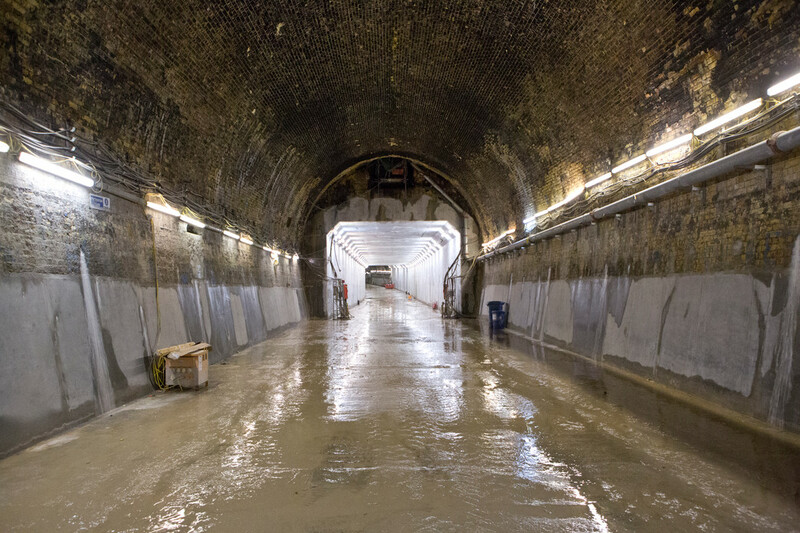 Take a guided tour of the Connaught Tunnel following completion of the refurbishment works. 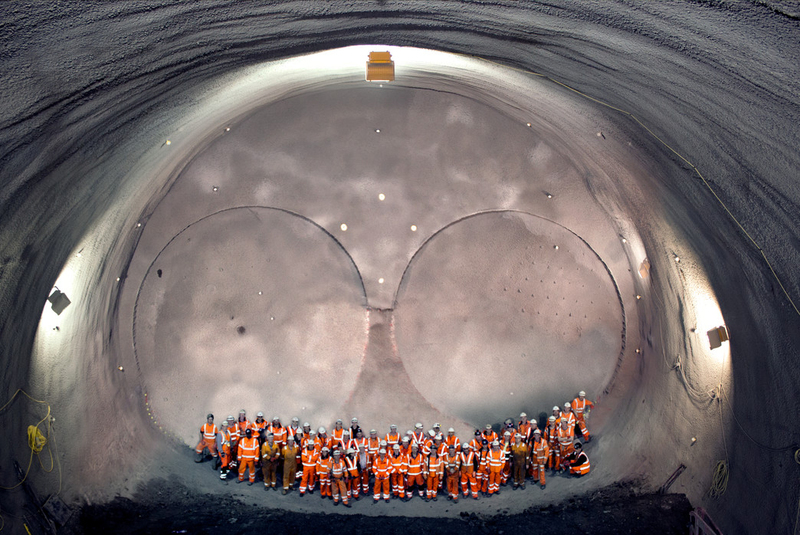 Crossrail are also constructing over 14km of underground tunnels using a tunnelling technique called Sprayed Concrete Lining. The Stepney Green caverns are one of the largest mined caverns ever constructed in Europe. The cavern is 50m long, 13.4m wide and 16.6m high at its widest point. 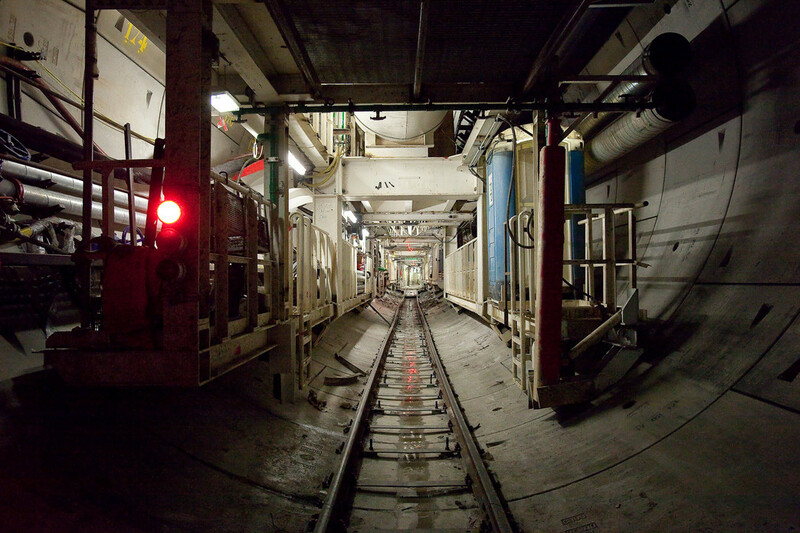 Two of Crossrail's tunnelling machines - Elizabeth and Jessica - broke through into the cavern in November 2013 and February 2014 respectively. Watch as tunnelling machine Elizabeth spectacularly breaks through into Stepney Green cavern.